The Y is the nation's leading charitable organization dedicated to strengthening communities through youth development, healthy living and social responsibility. For over 160 years, the YMCA of Central Virginia has been committed to creating a stronger, healthier and more connected community for us all. More than 26,000 healthy meals were served to youth in our community, giving children in need vital nutrients that are necessary for better physical and mental health. 3,722 life-saving swim lessons were given, teaching children invaluable safety and swimming skills so they can be confident in and around water. 4,369 Lynchburg-area families, seniors and youth benefited from YMCA of Central Virginia memberships through our Membership for All program. More than 1,400 young athletes learned teamwork, sportsmanship and healthy habits through organized Youth Sports. Over 3,000 Lynchburg-area families were given the resources to be active together in our free KidzGym interactive family and kids gym. 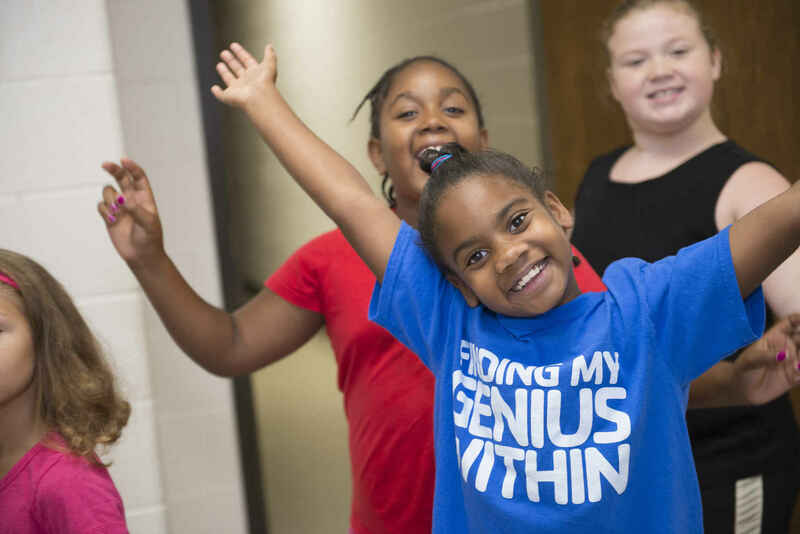 1,034 elementary school students were provided with a safe space to go through the Y Before and After School Program providing families peace of mind so that they can work without worry. 2 out of every 5 kids in YMCA Camps benefited from financial assistance funds, providing enriching activities during summer and school holidays. 193 youth from under resourced youth participated in over 34,000 hours of Summer Learning Loss Prevention, boosting their literacy skills, effectively closing the achievement gap, and raising their chances for a brighter future. 100% of your donation impacts our community. On behalf of Chris Krueger, Ben Rogers & the Y-Express 5:30 AM HIIT class! In memory of my uncle, David Ferguson, and in honor of my aunt, Earleen Ferguson. Because the Y makes a real difference in the lives of so many. I've known Cece Murphey's family since before she was born. I'm donating to support her work at the Y. Helping a person to be successful in life has to start with a good education. Go Team Hazen (Jon #6, Crazy Girl #217 and Bubba #216) in the Storming of Thunder Ridge! Please give them a shout out. To support the youth sports program. This donation is given in memoriam: Vera Suit, who swam for years with the Masters Swim group at the YMCA and who considered her swim friends family. Underserved children need help and wise to invest for future better community. Because the Y is the highlight of my dad's life. Thank you.